To set the scene: in 1896 Clydesdale Harriers had split with the SAAA and the SCCU and were running their own competitions and championships. The championships of both SAAA and SAAU were both being held on 27th June which would have bee the date of the Clydesdale Harriers Sports. The sports were therefore brought back by two weeks. They were held at Ibrox Park on 13th June in 1896 and according to the club handbook only just managed to make ends meet owing to a very poor turn out of spectators. 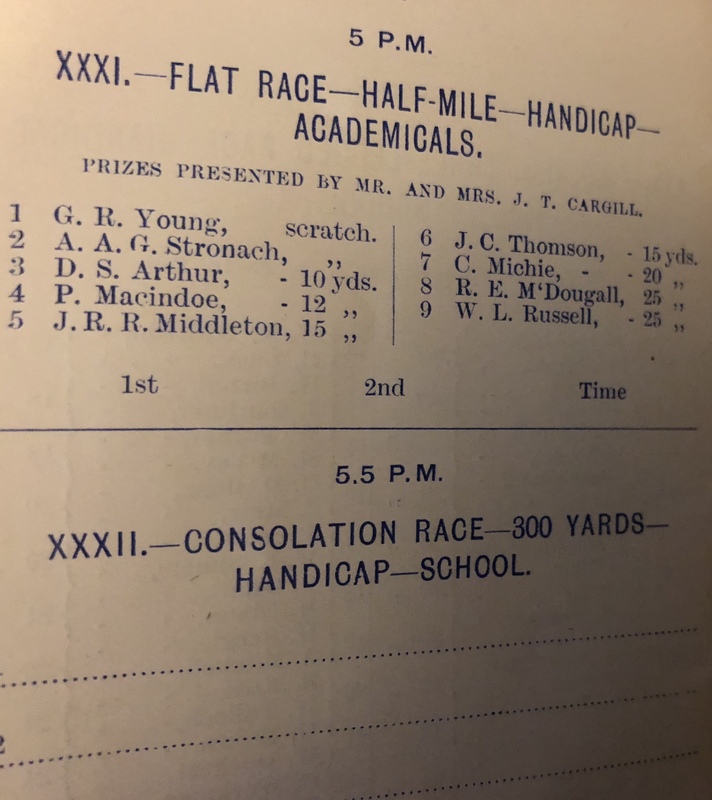 There were many very good races that afternoon but the best was the victory of Andrew Hannah in the three miles handicap where, as scratch man, he was not thought to be able to work his way through the field. Seventeen men started but by halfway ‘the field was considerably reduced’. The handicaps were big ones with the second placed runner being off a mark of 300 yards. 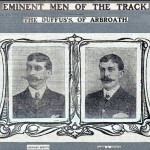 The task for all the back markers was such that internationalists and Scottish champions Duffus and Robertson gave up halfway through the race. Hannah ran hard all the way and the victory was hailed as the best run of his career up to that point, a view which was confirmed by the enthusiasm of the spectators at the finish. By now the Rangers Sports had moved to the date which will always be associated, the first Saturday in August, and in the absence of any demonstrations plus a good programme of athletics and cycling, they attracted a crowd of 14,000+. The club held several meetings each year, some on its own account and others in co-operation with other clubs. The big one however remained the one in July. There were several good races but none of the five English teams invited for the three miles team race appeared and the race was between Clydesdale and Watsonians with the CH proving victorious while Edinburgh Northern was third. There were many close finishes but the only athletics beneficiaries on the day were the 100 yards sprinters who were helped on their way and lots of good times were recorded. The list of officials does not include a wind gauge operator. 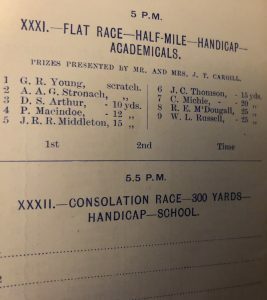 There was the usual quota of bicycle races which were well supported – eg the half mile handicap had seven heats which sounds very good, and it is, but the athletes really supported the meeting. 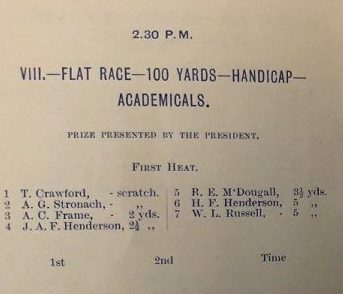 the 100 yards had twenty (20) heats, a second round of four heats and the final for the few witnesses on the terracing to enjoy. 25 100 yards races in the one afternoon! 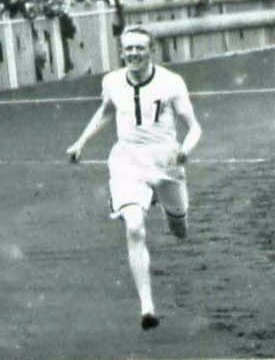 The standard was high – Hugh Barr was there again, for instance – and the race was won by Neil of Partick Harriers from Kirkwood of Clyde FC and Cooper of Ingram Harriers in 10.0. Not bad after three races on a bad day weatherwise. The two miles short handicap race was won by JS Duffus, from W Robertson and DW Mill. all of Clydesdale Harriers, all noted cross-country runners, in a time of 9:51.2. The half-mile was won by Lindsay of Vale of Leven AC from WW Mason (unattached). This is of interest to Scottish athletics buffs in that the Vale of Leven AAC that we know of as the home club of Lachie Stewart was only founded after the second world war. There were eight heats of the open 220 yards and the Mile was won by T Scott (EUAC) in 4:33. Interestingly, there were three cycle races of which two were for professional riders and one for amateurs. A change of date, a top class athlete previously unseen by a Glasgow crowd and back to the future with a five-a-side brought the first profitable Sports for several years. The football competition was made up of Junior teams: the Junior football scene was well supported at the time – junior does not refer to the age of the players but to the fact that their leagues were only a little below that of Senior football. The teams involved were Vale of Clyde, Ashfield, Rutherglen Glencairn, Maryhill, Cambuslang Hibernian, and Glasgow Perthshire. A diversion that has nothing to do with Clydesdale Harriers. RS Stronach was one of the best ever Scottish hurdlers. He won the SAAA 120 yards hurdles six times. He had an elder brother who always appeared on the programmes as AAG who had been third in the SAAA 120 yards hurdles in 1899 and would be again in 1902; RS was to become a great favourite and he won the event in 1900, 1901, 1904, 1905, 1906, 1907. A noted athlete in his school days and won the prize for the best all-round athlete i the school. 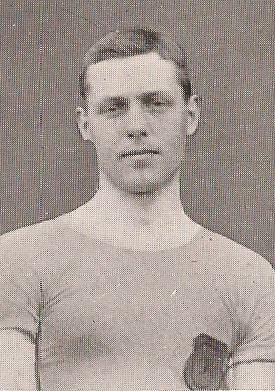 While still in his teens he played for Scotland at rugby as a flank forward. 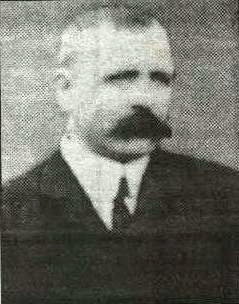 He was first noted as a hurdler in 1900 when he first won the SAAA title and then finished very close to the winner in the Scoto-Irish International. His career included winning the AAA’s hurdles title three years in succession and was nigh on unbeatable in Scotland or in the Irish internationals which he won in 1901, 04, 05, 06 and 08. He set a Scottish record for the hurdles of 15.8 – a record that stood for 43 years. A civil engineer he emigrated to Canada in the spring of 1908. There was also another brother not yet mentioned – AS Stronach – who won the SAAA Shot and Hammer events in 1898. Mind you he was the only competitor in these years. After emigration, RS competed there in 1909, and possibly later although details are hard to come by. All three represented Glasgow Academy and below we have an extract from the school sports programme.